You must make reservations at least 5 minutes in advance of the time at California Noodle House - The California Hotel. The California Noodle House is a delight to enjoy. The menu highlights a collection of delectable dishes from the kitchens of Asia. The distinctive space features an open kitchen design where you can watch your food being prepared by our expertly trained chefs. 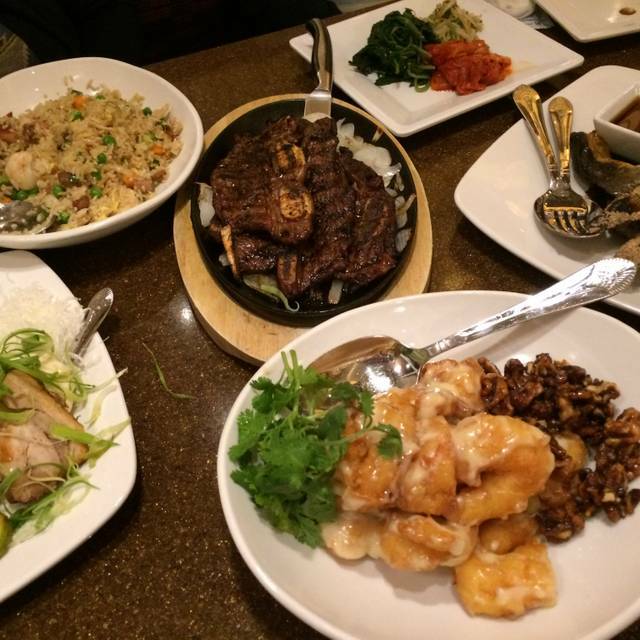 Open seven days a week for dinner and for lunch Friday - Sunday, be sure to visit California Noodle House today. The quality of the food has gone down a bit. Shrimp chips a little greasy and the wait person wasn’t too friendly. They also didn’t have our favorite dish that evening, Bibimbop. Disappointed for sure. We had a great time and the food was very good. We especially enjoyed the noodle salad. As always Beatrice was great. We would asked for her on our next visit. Food and friendly servers, we’ be been there at least four times and not yet disappointed. We went there for our 25th wedding anniversary. The service was good but the food was not. The Mongolian special was cold, congealed and too sweet. The Kalbi was ok but also cold. Not sure why everyone likes it here. We were disappointed. Met up with friends for dinner. It was a first time experience at this restaurant for all of us. The food was good but the service slowed down as soon as larger groups arrived. We had to flag down someone for the dessert menu, to take our dessert order and again for the tab. Overall, we had a great time with friends and enjoyed the food but we were not impressed with the service. Our reservations allowed us to be seated right away. The staff was extremely nice and helpful and the food was great. The Chow Fun was perfectly delicious. My Vietnamese iced coffee was wonderful. I would return to eat here anytime. This is a wonderful restaurant in the California Hotel. Food and Service are absolutely amazing, with great prices too! You have to try it to satisfy your curiousity. Every time we go there it’s always consistently good! It was phonemonal . Food great. Waiter very tentative. Staff on top of everything. Tempura shrimp to die for. 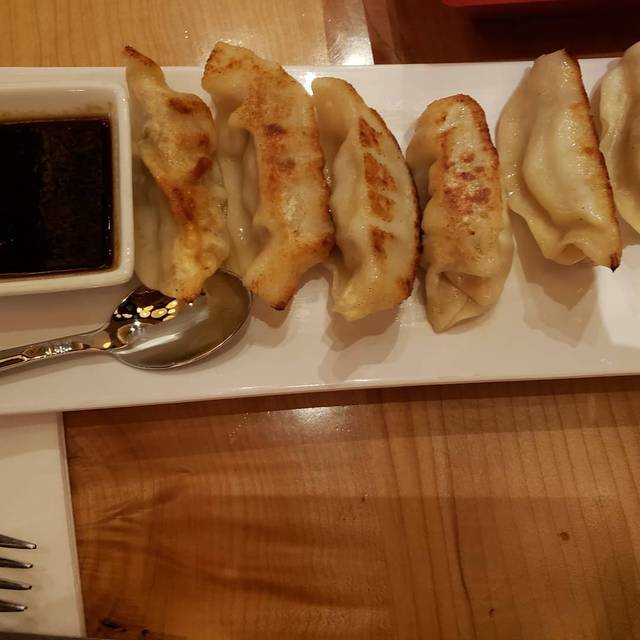 The potstickers were very good while the lettuce wraps were just ok. They start you with shrimp chips accompanied by a sweet and very slight spicy dipping sauce which is quite good. I like their Hong Kong chow main and would definitely offer that again. Overall a reasonably priced restaurant with some very nice menu choices. The service was excellent. Always enjoy ourselves whenever we go there to dine! great food and pretty quiet for an in-casino restaurant. we had a wonderful waitress and it's very easy to have your individual wishes for the menues. Was amazing quick service, food tasted amazing service was excellent. Great service, clean restaurant, fresh, delicious food. The only drawback is having to walk through a smoky casino to get there. But, it isn’t too far from parking and once you’re inside the restaurant the air quality is much better. They have floor to ceiling glass doors that keep out the casino air and noise. We have eaten there before but each time the food and service just keep getting better! The staff is amazing, the food comes out quickly and has always been exactly what we asked for. Topping it all off the food is so so so good! Gotta try the Ox Tail Fried Rice, it will change your life! The food entrees were delicious especially the Hamachi collar. In fact all the food selections were tasty and plentiful! Our waitress was great - very friendly and professional! Service was awful. Food was good. In recent years, I have always thought that the Noodle House was pretty good. I have had a few complaints, but most of them have been remedied. I have recently criticized their spicy deep fried calamari since a couple of time they forgot to add the chopped Thai chilis, but this time, there were enough chopped chilis to satisfy me. 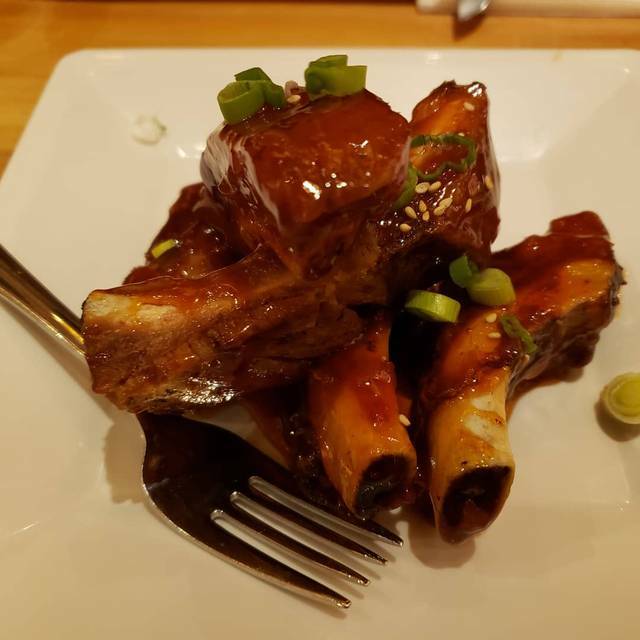 I also order the kalbi as an entrée -- two things about this entrée (not the kalbi entrée itself): The rice was undercooked and a little hard and "crunchy", and the won bok kim chee was too fermented. I know that most people of Korean ancestry like fermented kim chee, but for me, I prefer reasonably fresh and crunchy kim chee. When I asked about this, I was told that the kim chee is bottled kim chee; the Noodle House does not make its own kim chee. So, assuming this is true, they should have their supplier provided kim chee that is less fermented. The kim chee the last 2-3 times was really fermented -- sour and really squishy. Famous for oxtail soup... didn’t disappoint! Enjoyable food and service. Would recommend. Read my other reviews of this place for my opinions. This is just an update. The spicy, deep-fried calamari still needs to have the chopped Thai red chilis added. Maybe they should serve some on the side if they are afraid that some people would complain that the dish is too spicy. The banchan with the kalbi is fine, but I like my kim chee "fresher" (more crunchy and less fermented). I know that old-fashion authentic kim chee is supposed to be squishy and fermented, but that is not my style. And the rice they served me this time was only half-cooked. Still needs improvement. It is a good place to go if you're stuck at the California Hotel but otherwise, one can find a place that serves Asian/Noodles that is a lot tastier and cheaper. The food did improve from previous times I've been there. Not everything is over salted although some of the dishes still are quite salty. They added more selection to the menu so there is food other than just Asian noodles. The walnut shrimp wasn't bad. But the walnuts were burned and when I asked for a replacement, I was told that they were precooked so they were all like that. What's up with that? I asked for a substitute for them and was given cashews. They were a bit better-at least not burned. The lettuce wraps and leek dumplings were tasty. But for the price, 3 dumplings for the price was a bit high. The beef and broccoli was the saltiest out of the dishes and the broccoli was overcooked. Hate to say this but the service was not that great either. Perhaps it wasn't the waitress's fault as she seemed like the only one there taking orders. So we had to ask about our one Pepsi that didn't come before the food. And then our bill was messed up and it took forever to correct it. The waitress did apologize about the delay and offered us some ice cream while we waited. But then she never came back to hear our answer which would have been YES we wanted it. If not for the fact that we could use our Bconnected points, I don't think I would go and pay full price to eat there. Sorry. The oxtail was terrible, kalbi was a little tough, kim Chee, bean sprouts & watercress was terrible. The staff was very accommodating and joked around with my parents and their friends. We celebrated my dad’s 70th birthday and we all enjoyed our food. Music was not appropriate but the food and service were great. We had a lovely meal here and our waitress was amazing!! Initially the reservation was for 12 then it was modified to 15. Seating was perfect. Food came out in a timely manner. Although they missed an order of cod, it didn’t take long for it to come out. Everyone enjoyed their dinner. Calamari was cooked to perfection. A real treat after some of the over-breaded, over-cooked we had at other places. 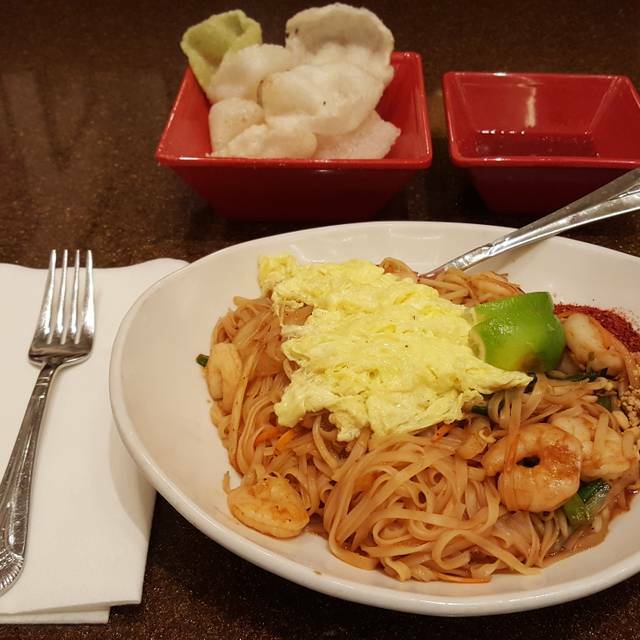 Told by friends that dining at the California Noodle Restaurant in the California Casino in Las Vegas is a must for people that come in from Hawaii. Although we live in California, we were told that the oxtail stew was the best and we were happy to try it out. It was delicious, with 4 large pieces of meat, along with a bowl of steamed white rice. My spouse had the walnut shrimp which was 14 in number. Service by Donna was great, especially leaving up with a special take home gift of fried shrimp chips. The food was decent, wonton soup not the best. 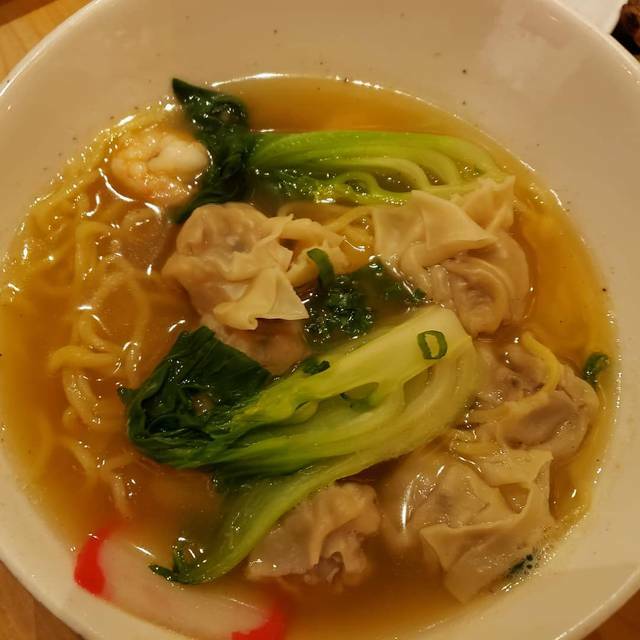 The broth was very cloudy, the wontons were very starchy. The shrimp chips and chili sauce were good appetizer, a long. With the lettuce wraps. Nice option in California casino. Nice, modern look. Enjoyed the menu and item choice. Waitress was amazing. Food was okay. I've been here twice and both times have been exceptional. We placed reservations ahead of time and were given the private room both times. Service, food, ambiance is great. Highly recommend anyone to eat here. Beatriz was our server, very sweet & her service was outstanding. Order the sushi not sushi for appetizer-it was amazing. We had the Kalbi that came with the Korean vegetables & Kim Chee which was very tasty, also had the walnut shrimp & Hamachi Collar, both outstanding. They were large portions served with rice, very tasty & so we're the shrimp chips with sweet/spicy sauce. Everything was good except they didn't have the Ahi I wanted. 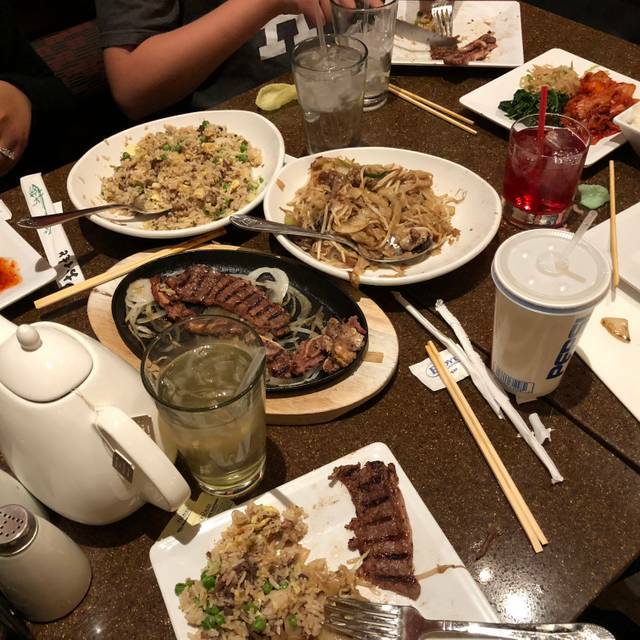 My friends and I tried the California Noodle House on our second night in Downtown Las Vegas and liked it so much we returned the next night. They start you off with complimentary shrimp chips and a sweet dipping sauce, both excellent. Over the two dinners we tried pot stickers, pad, Thai, Singapore noodles, Hong Kong Chow Mein, walnut shrimp, bbq pork ribs in sweet sauce and a couple of other dishes I can't recall. With the exception of the ribs which were pretty fatty, the food was outstanding. The Hong Kong noodles were peobably the number one selection but everything was great. The service was very good and the restaurant layout and seating are nice. I definitely recommend giving them a try, you will not be disappointed.